Specializing in Italian cuisine in preparing restaurant signatures hand-made pastas and Pizzas such as Shellfish Ravioli, Ox tail and Foie Gras canneloni, including Mandarin Oriental Pizza and Pizza Dolce Vita. Prepared restaurant main courses such as pan-seared Veal wrapped with Parma Ham served with Fricasee of Morel and Pan-seared Seabass with Fennel and piquillos purée. 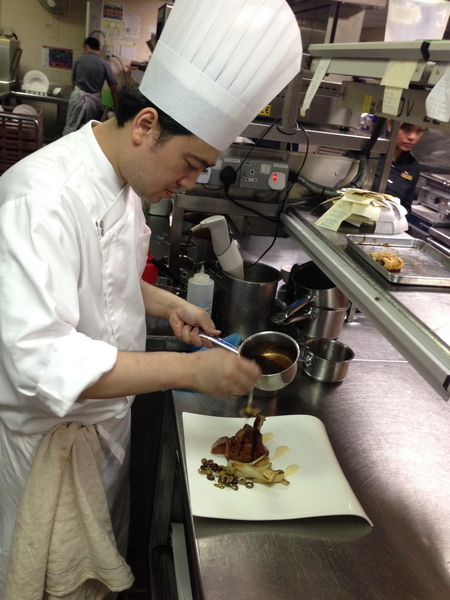 Assist the restaurant Chef de Cuisine in maintaining and running the day to day operation. Assist in supervising and coordinating the activities of kitchen staff in the preparation of all kinds of food items during lunch and dinner service in the kitchen section. Assist to check functions event orders and daily menus. Oversee the daily operations and misen-place of various sections. Prepare daily requisition and monthly standing order. Responsible of all aspects in the kitchen operations. Responsible of HACCP matters of the kitchen. Responsible for menu planning, ordering and inventory. 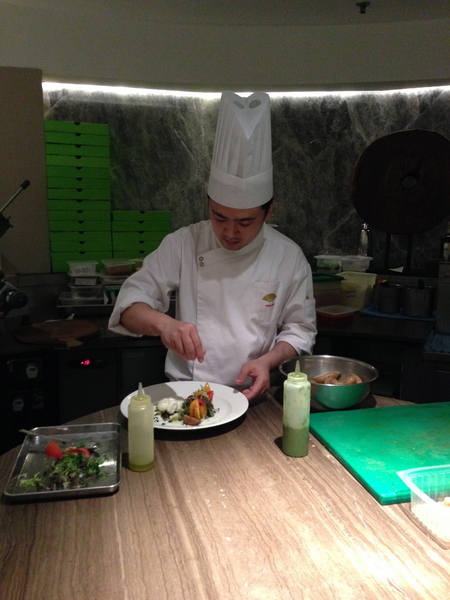 All-day restaurant offers an imaginative dining experience showcasing chefs at work in show kitchens to provide a multi-cultural culinary feast. Keeping and maintaining cleanliness and organized workstations, food storage areas and all refrigeration areas; delegate effectively to the entire staff to maintain. Demonstrates team work and professionalism at all times. Communicate to the Senior Sous Chef or Chef De Cuisine any concerns regarding food, production process, delivery problems, shortages, equipment problems, or personnel issues. Executes daily lineup with subordinate employees at the beginning of the shift to discuss daily expectations and work assignment; has effective, measurable dialogue with members of the team. Performs a Mise en Place inspection with subordinate employees to evaluate organization and cleanliness of food items and equipment. Prepares and/or supervises the completion of all required prep lists and food items and double checks them for accuracy. Set up the line, if needed, with required ingredients and is ready to execute their station in a timely manner. Ensure that the ala carte line is completely set on a daily basis for forecasted business in a timely manner. Executes daily ala carte menu for all day restaurant and in-room dining. Determines preparation amounts and ensures member/cost effective pars on a daily basis. Ensure all requested items are prepared in accordance with established portions and presentation standards in an efficient manner. Notifies Senior Sous Chef or Chef De Cuisine of expected shortages and assists with ordering food items. Consistently maintains standards of quality, cost, eye appeal and flavor of foods. Ensures proper labeling, dating and storage of food products. Ensures kitchen is clean and sanitary on a regular basis through effective systems of delegation through cooks and stewards. Studio Café/ Retail concept with 40 seating capacity. A multi-purpose studio design serving private set lunches, dinners and buffets for cooperate guests and clients. Responsible for overseas banqueting and catering operations on large scales such as ‘American Express and The Asian Food Channel Celebrity Chef Series’. Handled budgeting, staffing and food cost analysis. Coordinate and work closely with other related departments in the organization. 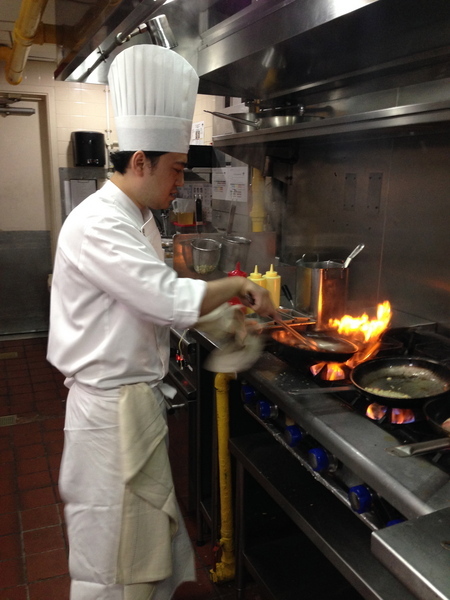 Focused on maximizing kitchen productivity and staff performance. Provide excellent services to ensure dining and service level of customers/clients are met consistently. Maintained kitchen and storage facilities in sanitary condition. Direct interactions with client/customers on a regular basis. Conduct eclectic mix of cooking and baking classes and demos for public participants, private organization. Responsible of overseas banqueting and catering operations on large scales such as ‘American Express and The Asian Food Channel Celebrity Chef Series’. Handle budgeting, staffing and food cost analysis. 100 seating restaurant serving semi buffet, western and asian style ala carte. Responsible of managing a total of 5 chefs. Responsible of seasonal menu planning and costing. Liaising directly with members and their feedbacks. Preparing and submitting reports to the committee members on the feedbacks received with proposed solution, improvement and action plans. 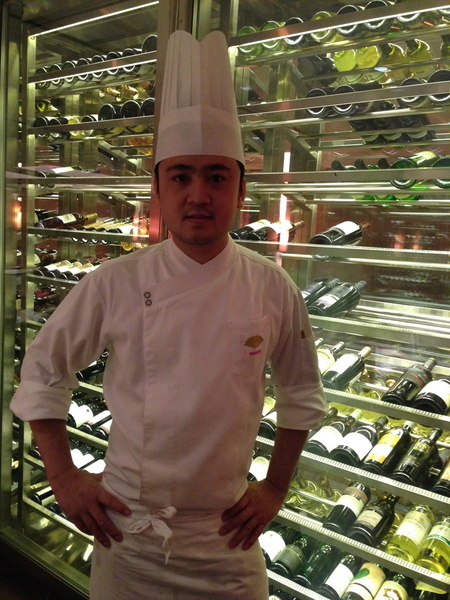 Responsible in managing the entire Food & Beverage operations. Responsible in menu planning, creation & development and created new recipes. Responsible in staff planning, hiring & management. Achieved restaurant service level in customer satisfaction. Inventoried, ordered & purchased kitchen supplies. Received, inspected, and stocked supplies. Prioritized prepping duties to meet deadlines. Maintained safe, sanitary, and orderly work area. Successfully set up fusion style restaurant that serves Chinese, Malay and Indian cuisine under one roof. Private catering company, partnering with aspiring Chefs. Securing and delivering exclusive dining experience to important clients such as private and business lunches, wedding banquets, dinner parties, buffets and cocktail receptions covering from 300 to 450 pax on a daily weekends. I take the responsibility of maintaining all the inventories required for food department and other events. I also take charge of maintaining food hygiene and kitchen cleanliness related to food. 180 seating restaurant serving Mediterranean concept ala carte, buffet for breakfast, lunch and dinner. 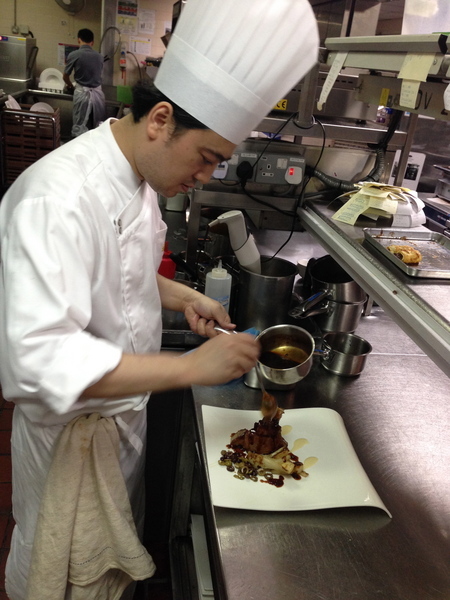 Assisting the Head Chef in managing the hot and cold stations in the restaurants. Provide excellent services to ensure restaurant service level to customers are met consistently. Responsible for daily banquet operation. Working closely with Chef de Parties and Sous Chef in Garde manger. Prepared daily varieties of Cold Appetizers from Asian to Western/ European Cuisine. Mass preparation in the Cold kitchen department such as Canapes, Tapas, Salad bars, Fruits, Seafood, all Western/ European set menu, banqueting and buffets. Working closely with Chef de Partie and Sous Chef in Gardemanger. Mass preparation in the Cold kitchen department such as canapes, Salad bars, Fruits, Seafood, all Western/ European set menu, banqueting and buffets.